Fiona Harrison On Tour In Gretna Green – Part Three! Terry and I the Piano Man! charger onto Willington Hall I didn’t receive it in time before leaving for Scotland. The one good thing which came from this was I was able to book myself in for another night at Willington Hall on the bank holiday Monday. It broke my journey nicely and saved me from driving all the way from Gretna to Leighton Buzzard in one hit. Poor Paul however had to drive back straight after Sunday night’s show which I didn’t envy him for at all. At night it’s possible to wiz through with the roads clear of traffic and he was able to do Gretna to Portsmouth in 5 hours. Foutunetly for Paul he has a sports car called Mars Bar which can really move! Go Mars go! As for photos you will have to forgive me I have had to pull a few from stock. Paul did take a few on his smart phone but as neither of us are very smart when it comes to tecknolagee he wasn’t able to e-mail them across to me. I am hoping he will be able to send them in time and when he does I will pop them up on facebook for you all to see. However all is not lost I do have one. It’s from Terry the gentleman who delivered the Grand Piano to the Richard Greenhow Centre and for whom I sang for – So thank-you Terry! Me in My WW1 Costume! I partially enjoyed Lucy McCutcheon performance of “Poor Wandering One” which she sang beautifully and Jerry Robinson’s Pirate King who’s voice suited perfectly. Both numbers are from the G&S Operetta The Pirates of Penzance and sat very well in Friday nights show. The Junior choir were charming as they sang “Where did you get that Hat” and “How Much is that Doggie in the Window”. 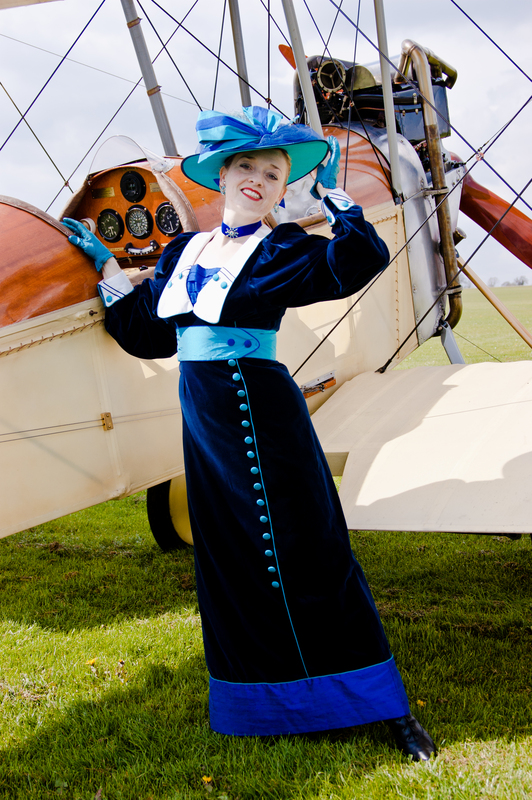 On Saturday I was out and about performing in my WW1 suit 3 sets for the festival. 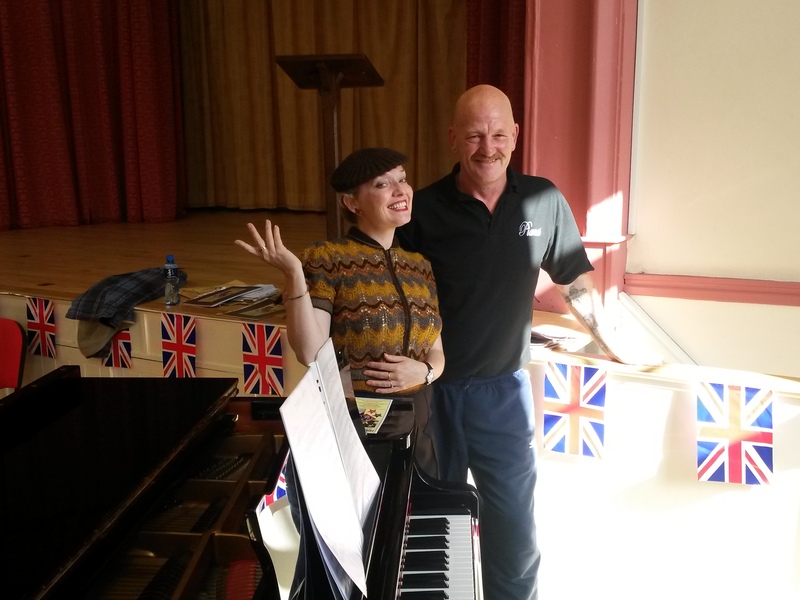 My first two shows took place in the WW1 tea rooms at the Richard Greenhow Centre and then Paul and I went over to Eastriggs where we performed an hours show at Baxter Hall for the local community. 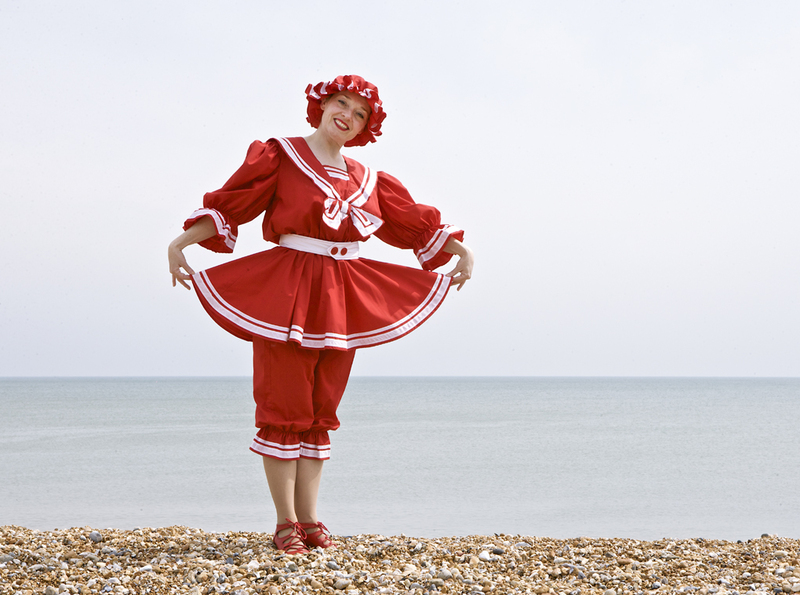 Eastriggs has a wonderful museum called The Devil’s Porridge which is dedicated to the women who worked in munitions. I would have liked more time to have look round but by the time we had finished our show the museum was just closing. On Sunday I was at All Saints Church which stands right in the heart of Gretna Green. I had been billed as An Evening with Fiona Harrison – Music and Song from the early 1900s and I was thrilled to include some opera which went down very well with the audience. For the first half I appeared in my WW1 blue velvet dress and silk hat changing into my top hat and tails Vesta Tilly style for part two. Paul sang and wowed the audience with his voice before having to dash away. 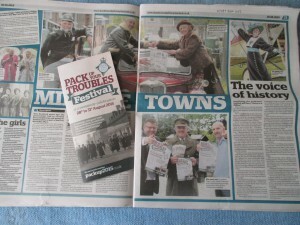 Pack Up Your Troubles Makes the Papers! 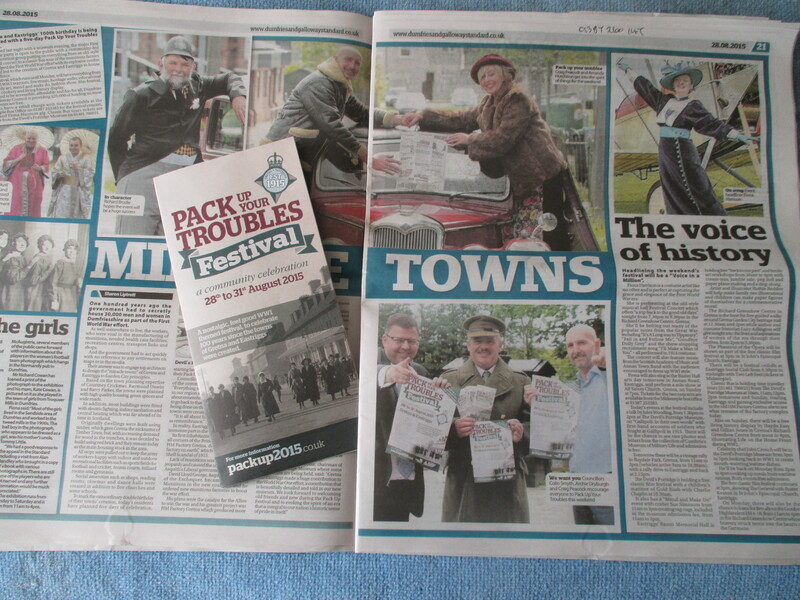 Thankyou to Ian Barr and Craig Peacock who worked so hard to make this “Pack Up Your Troubles” event such a success! In my next blog I shall be telling you about this weekend of 1940 shows which took me to Eaton Bray and my home town of Leighton Buzzard.